Slimmed-Down Gramophone Awards Honor Home Team : Deceptive Cadence The British magazine has trimmed down the number for awards being handed in its 90th annual prize ceremony. Is that good or bad for classical music? The British classical magazine Gramophone announced today the latest round of winners of its annual awards, now in their 90th year. With an expansive roll call of noteworthy albums ranging from early music to opera, the Gramophone Award honorees represent a tantalizing range of musical achievement — but it's a smaller array than in years past. Gramophone has significantly narrowed down the number of prizes it distributes. Five categories have been streamlined out of existence since last year's ceremony. Gone are the magazine's piano prize, the special historic award, the recital and solo vocal categories, as well as the honors for DVD documentary and DVD performance. Some of this streamlining is entirely reasonable. DVD performances did not need to be separate from audio-only releases — the 2013 winning opera title, for example, is a DVD release. But it's a shame to see others, like the historic category, fall by the wayside. If mainstream prizes like the Grammys (now without a Best Classical Album category, among others) are no longer fruitful vehicles for promoting classical music, is it an odd choice for Gramophone — theoretically one of the sentries of our genre — to trim down as well? Or will there be more perceived prestige in the Gramophone Awards when there are fewer of them handed out? Meanwhile, the UK-based Gramophone continues to show a strong solidarity with British artists. The magazine's editor in chief, James Jolly, bills the winning albums as "the most outstanding international releases of the past year" — but seven out of the 11 are releases from British soloists, ensembles or conductors. There are bright spots. One of the most gratifying winners among this year's roster of honorees is the Contemporary prize. 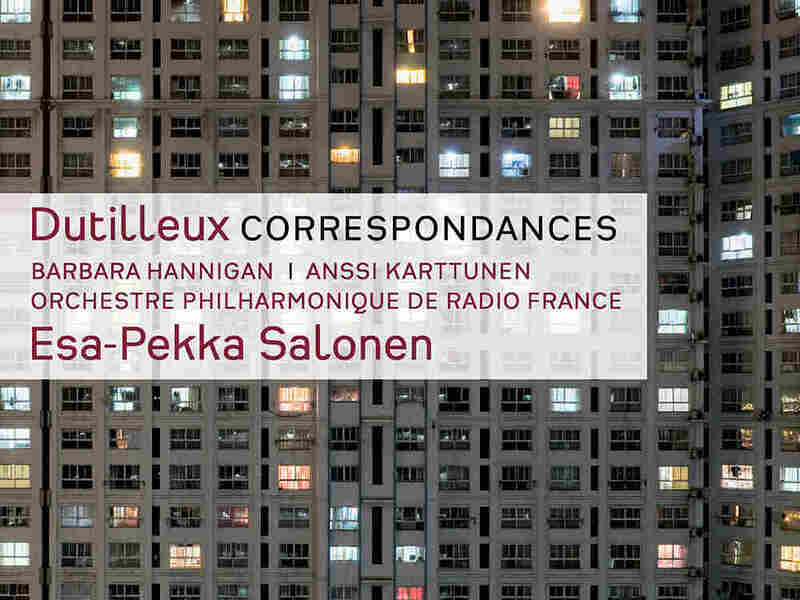 It was given to an Esa-Pekka Salonen-led recording featuring three works by Henri Dutilleux, who passed away in May at age 97: Correspondances for soprano and orchestra, featuring Barbara Hannigan; the cello concerto Tout en monde lointain, with cellist Anssi Karttunen; and a five "episode" piece for orchestra, The Shadows of Time. One of the 11 prizewinners will go on to be awarded the magazine's Recording of the Year award on September 17, when Gramophone will also announce the winners of its Lifetime Achievement, Young Artist of the Year and Label of the Year honors, along with an Artist of the Year award voted on by the public.